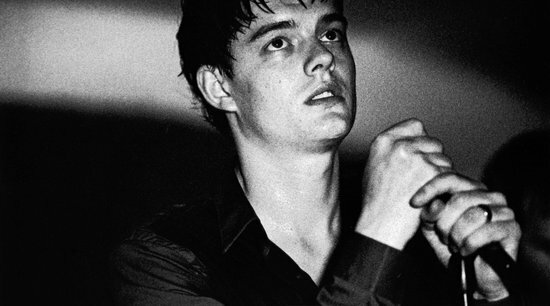 Released on DVD last month Control is a biography of the life of Ian Curtis, (Sam Riley) the tragic lead singer of Joy Division who, unable to cope with various pressures in his life, committed suicide in 1980 at the age of just 23. The first striking thing about Control is how un-rock star like it is. Shot in black and white, the grimy visages of Macclesfield are a world away from the neon lights of Los Angeles. It is a mood which director Anton Corbijn is keen to perpetrate throughout, actively promoting bleak images at every opportunity, rejecting the hallucinogenic colours of 24 Hour Party People in favour of a realist’s view of life in and around Manchester. Curtis emerges from this as an almost equally bleak character, unable to cope with anything life throws at him. At times this is masked by supreme confidence, ‘this is only the beginning,’ he confidently tells the rest of the band upon the first airing of their record before being brought shatteringly back down to Earth as he wanders off-stage in an early American performance. As Curtis, Riley is almost, but not quite, a revelation. Perfectly cast in a role as demanding as any circulating at the moment, he treats the front-man with the harshness he deserves at times, allowing genuine sympathy to infiltrate at others. Samantha Morton meanwhile, as Curtis’ wife Deborah is equally as fantastic which is apt considering her character occupies as much, if not more, screen time than Riley’s. Based on Deborah Curtis’ book Touching From A Distance, it is little surprise that the main sympathies, perhaps deservedly so, lie with Deborah. Riley’s Ian is frequently uncommunicative and distant, harbouring a love affair he does not possess the personality to quash and a wife and child he no longer possesses the power to interact with. At times however, this microscopic view of Curtis’ life feels judgemental and individual, something which Corbijn has made little attempt to correct. Control is, ultimately a fantastic portrayal of a genuinely tragic man. It is odd therefore that in the end we have little sympathies for the apparent subject matter of Corbijn’s analysis. In a life as famously short as Curtis’ its seem a shame that the first major attempt at documentation has only chosen to take account of one source rather than attempt to widen its scope. The title is assumedly meant to refer to Ian Curtis’ eventual lack of, but in theory could be talking about the grip the voice of Deborah Curtis has over this project.